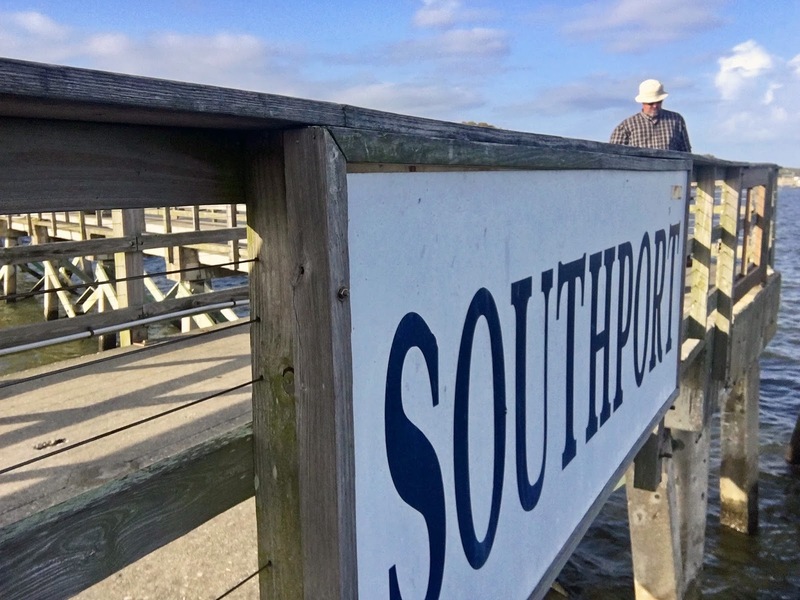 Ed on a pier in Southport, North Carolina. We sat on a bench and watched pelicans dive for fish, seagulls fly overhead, and boats pass by. A storm had just gone through so the sun came out but it was still windy and slightly chilly. A beautiful afternoon. I love this little town!